Super Affiliate Network Is Legit? Yes, straight out, no question about it Super Affiliate Network is a legit program developed by one of the renowned, top dollar earning Affiliate Marketing geniuses – Misha Wilson. 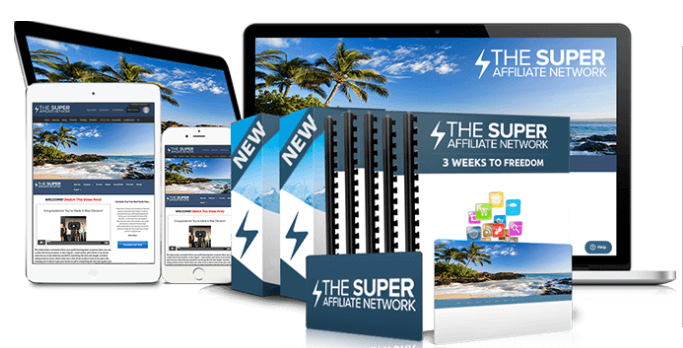 Now that we have cleared that, let’s explore the spooky secrets I uncovered about Super Affiliate Network with the hope that these will help you make your decision whether you want to join or not. 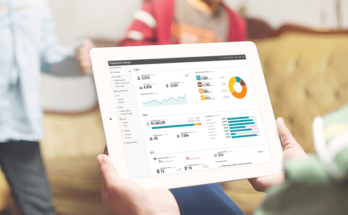 This is an Affiliate Marketing training platform developed by Misha Wilson in 2015. Its focus is based on achieving affiliate success through Email marketing, Solo Ads as well as promoting the network’s own membership. Recruit people and earn commissions, kinda like a pyramid type of arrangement. 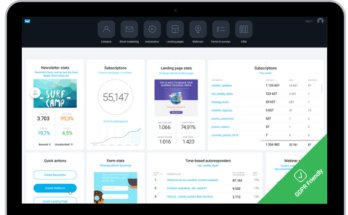 This program has created quite an internet buzz given that it is the brainchild of the youngest rapidly rising traffic and conversions star – Misha Wilson. 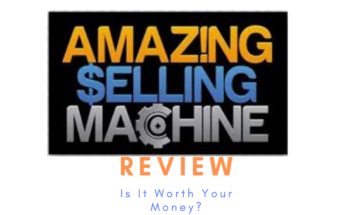 Misha says that he started the Super Affiliate Network to help people regardless of their level of experience achieve Affiliate marketing success just like he did. And he does a good job with his training. However, there are unsettling features of the program that I personally found disturbing. I went and signed up for their membership directly from their website. There’s a welcome video my Misha himself and he keeps saying that the program is 100% Free to enroll into. Even the enrolment form says so. However, that’s not the case! They have the basic membership you can join at a $1, 30 days Trial, after which you will be charged $47 per month. Misha does not mention any of these details anywhere in his sales video to give a clear idea of what you are getting yourself into. In the subsequent video after you sign up Misha now changes the story from 100 % Free to a $1 on his Profit Boosting Bootcamp Training (Simply just the Basic Membership). Ok well, I guess we could argue that $1 is as good as free right? But then why not indicate that it is, in fact, a $1, 30 day Trial of the Basic Membership? As much as he runs a great program I think that this is deceptive marketing and it does not make him look good. The basic Math is wrong here. That’s 99% saving…anyway that’s not even the point. Speaking of deceptive marketing, this tactic used here reminds me of MOBE (My Online Business Education) which got shut down by the FTC (Federal Trade Commission) in June 2018. This was partly due to MOBE’s deceptive marketing tactics. You see MOBE was not a SCAM per se. It was a good company with very bad characteristics. That, unfortunately, led to its unceremonious shutdown leaving thousands of its members outright stranded. When you look closely, you will find some similarities between Super Affiliate Network and MOBE. They are not 100% Identical though. As I have already mentioned, Misha makes a claim that the program is free when it actually isn’t. MOBE used to lure people to join with its “low” one-off fee of $49. With Super Affiliate Network immediately upon joining the upsells flood in. Forget that sweet invitation to “Join Our Affiliate Marketing Training Completely Free Now”. Its like a slap in the face – back to reality fast! Access to any on-going products at no cost (unless above the PRO membership level). An exlucive 4-day Mastermind held at Maui, Hawaii where you get to work hand in hand with Misha to build your top notch marketing funnels. You can access the initial lesson of the Profit Boosting Bootcamp even before you get in contact with your business coach. But you will not be able to proceed to the next step unless your coach unlocks the level for you. They “Drip-Feed ” you the lessons. That was the same story with MOBE’s 21 Steps. They say thats a way to ensure that you work closely with your coach and establish a tight working relationship. I think thats actually great! If only your coach would be available at the time when you need him! I remember I joined on a Thursday and scheduled a Skype chat with my coach. It showed on his calendar that I would only get him the following week. I found that a big waste of my time because I needed to start training immediately, which I did. Finished Module 1 and wanted to proceed to Module 2. I could not because I got to wait for my coach next week! “Pay To Play” – You will not earn commissions from products you have not personally invested in. With MOBE if you were a Gold member, for example, you were not able to earn Titanium, Platinum or Diamond commissions even if you referred those members. The commissions pass you and are earned by your upline if they have “positioned” themselves correctly. That’s exactly how Super Affiliate Network operates. This is the tactic to “compel” you to position yourself at the highest earning level. Who wants to miss out on commissions? Yet, these highest positions are very expensive! Some people even enter into huge debts just to position themselves, with the hope that the commissions will cover the debt and then some. Well, what happened with MOBE? The FTC shut it down and a lot of its members were left with huge debts and massive losses. Well, some people may find the ideas of “Done – For-You” or “Business in a box” quite appealing because you dont haave to deal with steep learning curves before making money online. However, I think this is not a sustainable way to build your business. When will you learn to build your own website, landing pages sales letters if they are done for you? Perhaps this is a way to keep you hooked to the system and never being able to work independently? Super Affiliate Network has a superior training component which you can apply outside their Network and become successful. On the other hand, MOBE’s 21 Steps training was a far cry compared to Misha’s training. This is the best Internet Marketing Training Program you will find on the internet. It has been helping hundreds of thousands of entrepreneurs start their businesses since 2005. Misha Wilson’s Super Affiliate Network is a legitimate business with some disturbing charateristics. Misha is an Afffiliate Marketing geniuis capable of achieving unprecedended results. However, I think he needs to clean up some of the little messes that might drive away potential business. I hope you have enjoyed reading! Please share your thoughts with me. I always want to hear from you. Feel free to share this post anywhere, you never know who you might help! Previous Article How Do You Start An Internet Business? – It Has Never Been This Simple! Next Article An SEO Checklist For 2019 – We All Want To Rank Page 1 On Google!